Since the evolution in the field of agriculture, technologies used along with the farming machinery have undergone several changes. These changes are basically modification of the existing equipment or machinery to improve functionality and increase productivity. People who have their work associated with the soil understand very well the different kinds of treatment that is needed during the different stages of soil treatment. It is due to this reason that various farm machinery have been developed with time in order to perform various functions at the different stages of soil treatment. 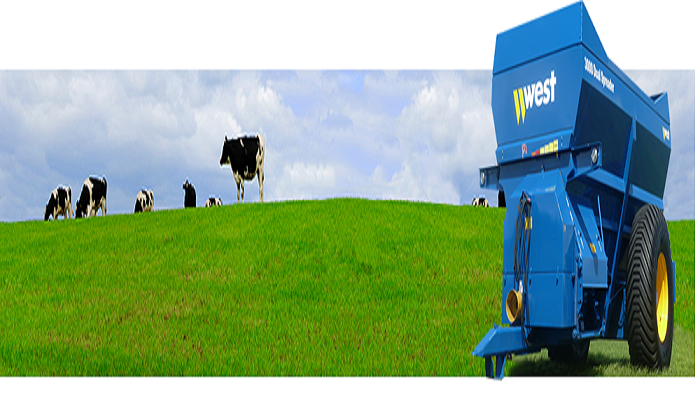 All the latest machines have brought with it considerable development in the field of agriculture. It is time to make the most of these equipment and bring growth and productivity. Refraining from using them will only add to your troubles. Hence, let us take a quick look at some of the most important benefits associated with agricultural machinery. Tractor Provides the Power – The central point for modern farming is the tractor and it has a longstanding existence. Steam engine marked the beginning of the Industrial Revolution and hence changed the farming sector for good. With more and more people taking a keen interest in farming, the implementation process became a lot larger. There was a lot of human labour along with farming animals involved and eventually the demand for growth in this sector also increased. In the beginning it was the steam powered engines and now the advanced models run on gasoline. Additional features have been added on the tractor with time to improve its functionality. Soil Preparation– The main equipment that is needed for preparing the soil is the plow. There are several layers of work that is needed to prepare the soil but the plow remains the key element. The plow comprises of curved blades and they can either be one or more than that. These curved blades are also known as mold boards and they have the flexibility to be set at different degrees of depth. These mold boards have the ability to cut into the soil or even turn the soil over. The horizontal blades are known as plowshares and the vertical blades are called coulters. Thanks to technology, modern plows are subject to a lot of flexibility in the width and length of coverage. Plowing also expels stones and uproots weeds. Seed Plantation – The sowing machines have the function of planting multiple rows of seed with equal spacing in between and equal depth. The planters comprise of sharpened discs that have the ability to drop the seeds through the process of opening as well as closing the furrows. The gauge wheels perform the task of ensuring that the depth is consistent, the metal point performs the function of perfecting the furrows while the feeding tube deposits the seeds. The specialized wheels turn in order to close the furrow. Field Cultivation – The cultivator performs the function that is close to the functionalities of the plow. The difference in this case is that the functionalities of the cultivator comes into picture post the seeds get planted and the crops are in their growing stage. The cultivators also have teeth to straddle plant rows along with sifting as well as refining the soil in its surrounding place. The importance of executing this task is to primarily ensure that the macro pores remain in the soil. This in turn would make sure that the soil receives water and oxygen. Agricultural machinery has the main responsibility for improving the farming condition and to bring in agricultural growth. Growth in the field of agriculture is possible with the developments being made on the farming equipment.